Serving the Hull area, we are a family run Barbecue caterers and Hog Roast hire service. We are proud of our Barbecue food and have received a number of awards in recognition. Local free range hog roasts in Hull, that are winners of the prestigious "Good Pig Award 2012". Our free range hog roasts are chosen and bred for quality and taste. 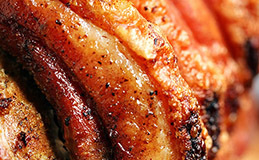 Slow roasted hogs that produce marbled lean pulled pork meat enhancing the flavour and succulence whilst producing the finest crackling around, assuring that our hog roasts will be the best hog roast you will have ever tasted. Our Barbecue Caterers provide a first class service perfect for any function, event or special occasion. Serving the Hull area we use free range pigs bred near Hull to produce our quality barbecue sausage range and only 100% outdoor reared beef going into all our handmade burgers this really is scrumptious bbq food for any occasion or event, and with lots of menus we are sure to have one that suits yours. 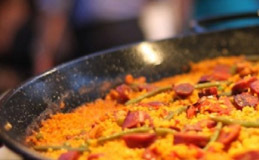 Big Pan Catering is becoming a very popular choice of catering in the UK. You can choose from our authentic Spanish Paellas or traditional Mexican Chilli to our Moroccan Lamb and more. Your guests get to see the menu made right in-front of them. Able to absorb all the sizzling and smells of the ingredients coming together in one big pan before being served straight from the pan to the plate. Our wedding caterers are happy to discuss with clients their requirements with us, and we are happy to tailor and blend our menus together to create a bespoke menu to each and every bride and grooms needs. 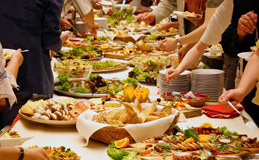 We supply a high quality, stylish and professional wedding catering service throughout Hull and Yorkshire area for weddings and the evening wedding celebration and have done so for many years. 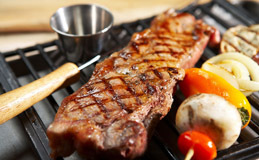 Professional BBQ Caterers Hull and Free range Hull barbecue catering from a local family-run business. Offering free range Hog Roasts, Spit Roasts and Barbecue outside catering for Hull and surrounding areas. Based in Yorkshire and available for functions, weddings , private parties and events throughout Yorkshire. The best BBQ Caterers Hull has to offer! With our pulled pork hog roasts we aim to always exceed the expectations of our clients at weddings, private parties and corporate functions no matter how large or small the event maybe. We offer a bespoke stress free service which enables you the client to spend time mingling with your guests soaking up the atmosphere created by a hog or spit roast. The aroma and sight of a Hog Roast will be a talking point of any event and is sure to please the hungriest of guests. Please view our hog roast menus. Our Hull BBQ Caterers source all of our free range hog roast and BBQ catering produce locally in Hull and throughout Yorkshire, all of our pork and lamb is free range, We work closely with our top leading pig breeder and cattle farmer along with our baker and small holders in order to serve you and your guests fresh, seasonal food whilst helping to support “The Best of British” and serve our clients succulent and superior tasting pulled pork hog roasts. Please view our variety of catering options that we currently have available and please do not hesitate to contact us to discuss your forthcoming Hog Roast, Spit Roast or Barbeque event in more detail. We specialise in weddings, corporate events and private functions in Hull and throughout the Yorkshire area. We come to your venue and provide the most delicious Hull bbq catering available. Our BBQ Caterers Hull are pleased to have now won ‘The North of England’s Wedding Awards’ in the caterers category, going up against Exclusive Caterers Dine from Sarah Beeny’s wedding venue Rise Hall and Michelin star dining from Box Tree Catering previously owned by James Martin celebrity TV chef and many other Yorkshire catering specialists. Copyright © 2019 | Barbeque Caterers Hull and Hog Roast Hire Hull from Happy Hogs & BBQs of Hull. Yorkshire Free Range Hog Roasts and Barbecue Catering.